A lot is being said about Nexus 6 Smartphone. However, one thing that comes out clearly is that this device will be one of the best Smartphone models of the year. Currently, there is no much information about this device. However, there are rumors about its features, specifications, release date and price. Regardless of how hard a manufacturer tries to keep information about a new gadget secrete, revelations reach consumers. Some internal sources have leaked information about this device. However, what is clear is that Google adds a Smartphone each year. The Smartphone expected to be released this year belongs to the Nexus series. Recently, Google launched the 5th generation of its Smartphone. Now, expectations are that this technology giant will introduce another Smartphone in its Nexus series. Going by the trend of this company of releasing a new nexus Smartphone every year, it is obvious that this year will be no different. However, the exact release date of this device is not yet known. However, analysts are predicting the release date going by past events of this manufacturer. Going by this trend, one can predict that Google Nexus 6 can be released in August 2014. Analysts predict that this device will be released during a holiday season when most people go shopping. Perhaps, this can be true considering that Nexus 5 arrived in November with Android 4.4 KitKat just after Halloween was announced. Rumors about this device are already circulating with most people saying that the device will have the most innovative features among the Smartphone models that are already in the market. Nexus 5 has an 800 Snapdragon processor. It also has an OIS camera of 8megapixel and a display of 1080p. 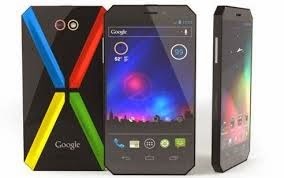 However, it is important to note that after every five years, Google changes the Nexus Smartphone design. As such, although many consumers may not consider the 6th generation of Nexus Smartphone to be the real thing, there are chances that Google will introduce an entirely new device. For instance, Google can slim the device down and use a different type of build materials. This will shake things up and make the device more than what many people expect. Although Google has always used plastic design for its devices, rumors are that the company might change this and use an upscale design. Nevertheless, this information is not clearly known yet. As such, consumers can only wait for Google to release the device and unveil its features. Nevertheless, there is likelihood that Google will soon release Nexus 6 to keep a history of releasing a new Nexus Smartphone every year.